Thank you for volunteering for the Our Lady of the Assumption Food Basket Ministry. 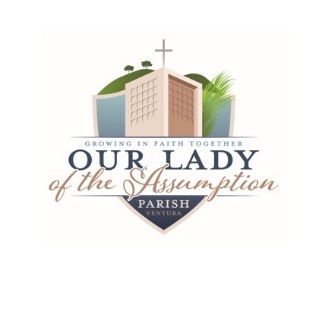 It is people like you that help make OLA Parish a place of love, service, and giving. We are in need of volunteers April 10th - 14th. Please see the position descriptions for further information. Contact Jerry Deal at (805) 339-0260 if you have any questions. Volunteers are needed to tape up the boxes that will be used to hold the food. Volunteers are needed to transport food from the storage shed to Mulcahy Center. After that we set up the tables in the hall and set up and label the boxes. There is lifting that is involved in this particular task. 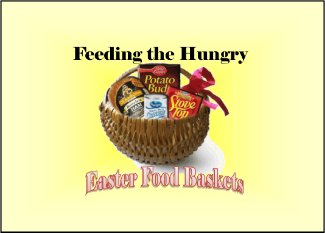 Volunteers are needed to finish filling the boxes and adding the perishables to the boxes. Volunteers are needed to load up and deliver boxes to Our Lady of Guadalupe in Santa Paula. Good for volunteers who have trucks and are willing go to Santa Paula to make a delivery. Volunteers are needed to assist people of the parish loading their cars as they deliver the boxes to the families in the community. We need people to load boxes into vehicles, and a few people to help with the paper work.